Replacement part - HEPA Filter for the Dyson Airblade Tap AB09, AB10, AB11 and Wash+Dry WD04, WD05 and WD06 hand dryer. 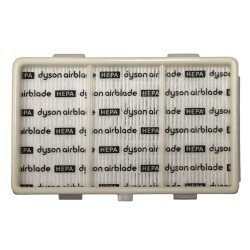 Replacement part - HEPA Filter for the Dyson Airblade Tap AB09 | AB10 | AB11 and Wash+Dry WD04 | WD05 | WD06 hand dryers. The filter model number is AB-965395-01. 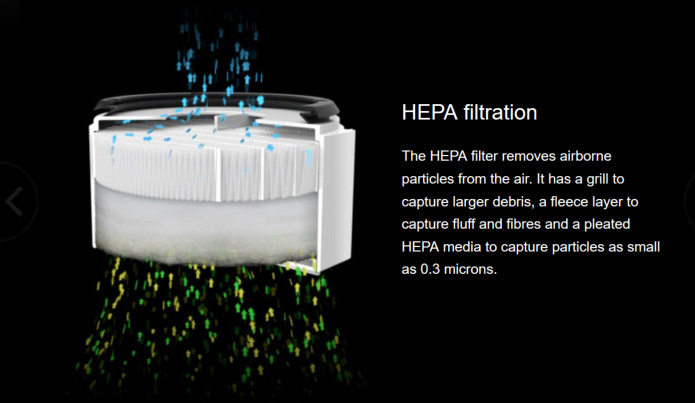 Warning: This HEPA filter is a genuine replacement part from the manufacturer - Dyson. Don’t be fooled by imitations. 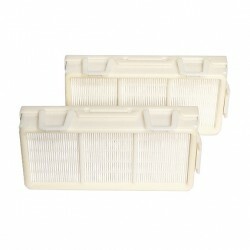 Make sure you are purchasing an authentic Dyson replacement filter. The first thing to do is to cut the power to the unit. This is usually done via the circuit breaker in the electrical panel that serves the hand dryer. 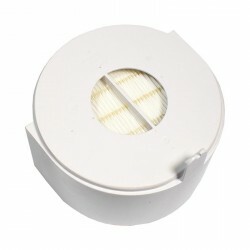 Once that is done, it is safe to proceed with changing the filter. 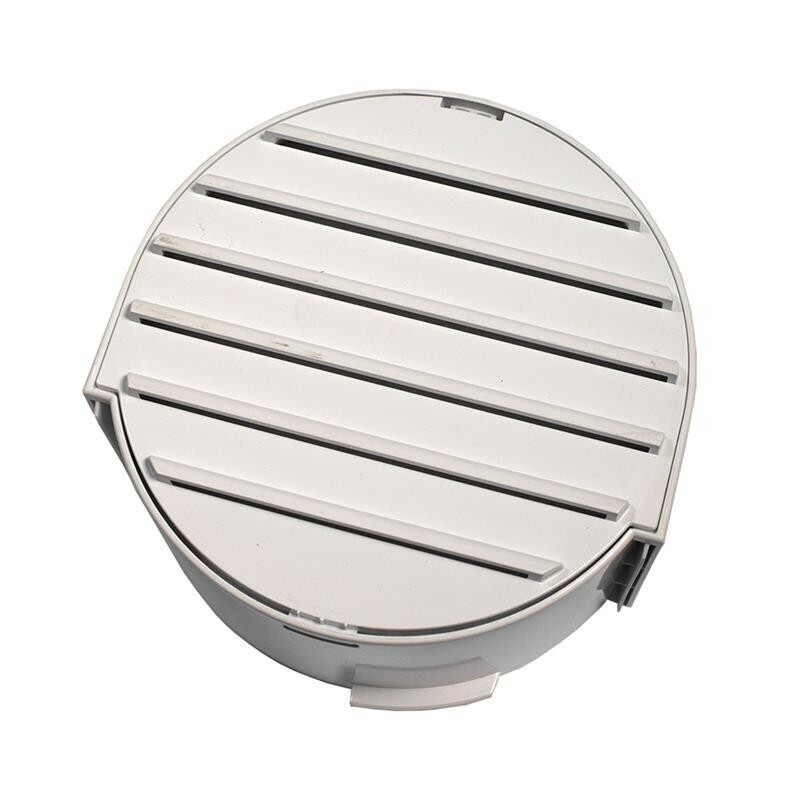 The HEPA filter is located at the bottom of the motor bucket and hose assembly (white plastic portion under the sink). To access the filter, you will have to depress the red button on the bottom of the unit which will partially release the motor component. 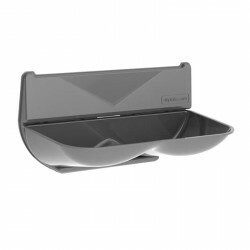 You will then be able to swivel the motor bucket out and free of the rest of the under sink assembly. 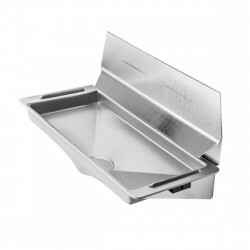 Located on the front of the motor bucket is a small semi-circular tab with a small square hole at its tip. 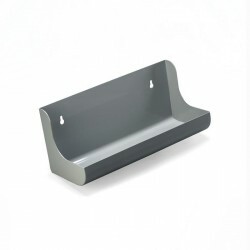 Insert a micro-screwdriver or other narrow metal tool into the hole and gently pivot it up and down until the tab releases and the filter assembly separates from the base. Next attach the new HEPA filter and replace the motor bucket in the bracket under the sink. It is now safe to turn the circuit back on restoring power to the TAP.